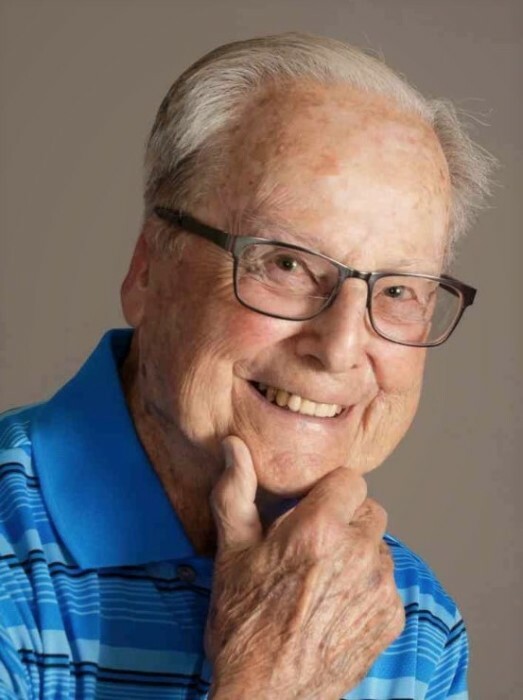 Obituary for Carl Dean King Sr. | Buechele Funeral Home and Cremation Services, Inc.
Carl Dean King Sr., 92, of East Brady died Friday, October 5, 2018 at Kittanning Hospital. Born March 16, 1926 in East Brady, he was the son of Albert C. and Fonda Mae (Smith) King. On November 11, 1949, Dean married the former Shirley Jean Shea, she survives. A US Army Veteran, Dean left East Brady High School to serve as a Tech 4 with the 715th Ordnance Light Maintenance Company. He was a recipient of the American Theatre Ribbon, the Pacific Theater Ribbon, the Good Conduct Medal, the World War II Victory Medal and the Army of Occupation Medal. When he came back from the war, he returned to school and coached the Junior High Basketball team. He graduated in 1947. Dean worked for many years at Anderson Chevrolet in East Brady as a mechanic, then later Indespec Chemical until his retirement. A member of the East Brady Methodist Church, Dean served on the board of trustees, the church council and helped with the general maintenance of the church. Dean enjoyed golfing and played on the men’s leagues at both St. Jude and Hiland golf courses. He loved camping trips to Cook Forest, woodworking and making wood crafts for his family and spending as much time as possible with his family. He is survived by his wife, Shirley King of East Brady, 2 sons; Carl Dean “Rocky” King Jr. and wife Lynn of Bradys Bend, Ward King and wife Ruth of Ambler, PA. 1 daughter; Susan Bly and husband Bryan of Beaver Falls. 1 son-in-law; Henry Crawford of Bradys Bend. 1 sister; Dorothy Mortimer of East Brady. 2 brothers; Donald King and wife Peg of Bradys Bend, Richard King and wife Ressie of Lyndhurst, VA. 1 sister in law; Winnie King of East Brady. Dean is also survived by 10 grandchildren; Noelle King, Doug King, Nick (Janis) King, Holly (Alex) Mayo, Chad (Valerie) King, Hank Crawford, Brett Crawford, Evan (Allie) Crawford, Sandy (Andy Madden) Bly, Laura Bly. 8 great grandchildren, and numerous nieces and nephews. He was preceded in death by his parents, 1 daughter; Sandy Crawford, 3 brothers; Bush, Bob and Bill King, 1 brother in law; Laird Mortimer, and 1 infant granddaughter, Mary Elaine Crawford. Funeral Services for Carl Dean King Sr. will be held at 11:00 AM Saturday, October 13, 2018 at the East Brady Methodist Church with Rev. Lola Turnbull officiating. Arrangements are under the direction of Buechele Funeral Home and Cremation Services Inc.